Auction Date: 05/04/2019 15:00:00 | GVM Auctioneers, 25 / 26 Glentworth Street, Limerick. The village population is estimated at 2,600 with a street scape of enormous character well serviced with Hotels, Restaurants, Golf Courses, Shops, Boutiques and tourist associated retail houses. The recently developed and already renowned 5 Star Adare Manor Resort is adding to the growing reputation of this much sought after area. 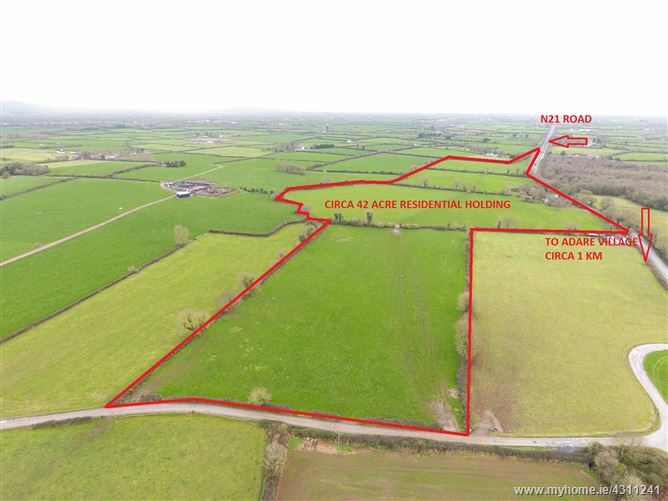 The subject property is located approximately 1 km south of the village with extensive frontage to the Limerick/Killarney Road (N21). Croagh Village is just 5 minutes Drive.